PenguinCube SAL was tasked with creating a low-cost, low-maintenance donor recognition element for the non-profit art school. 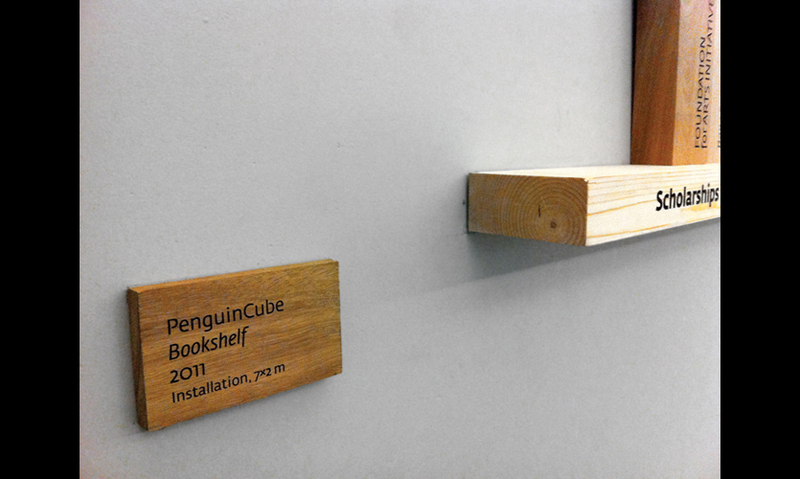 PenguinCube chose the book—the oldest and most grounded method of providing education—as the ideal element to recognize contributions to the school. Different types of woods—from walnut and cherry to acajou and pine—are used as subtle indications of giving levels. 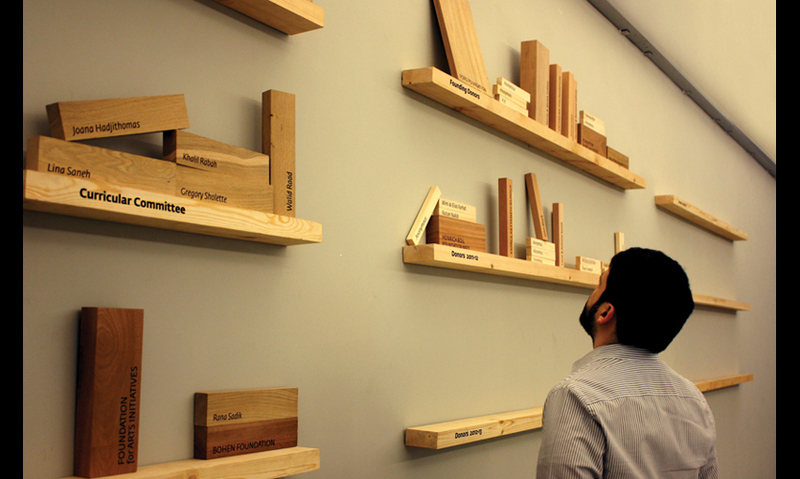 Inspired by the rawness and simplicity of the space, the PenguinCube team opted for a basic engraving technique and a mill finish on the “books” of varying sizes and woods. The empty shelf invites future giving. 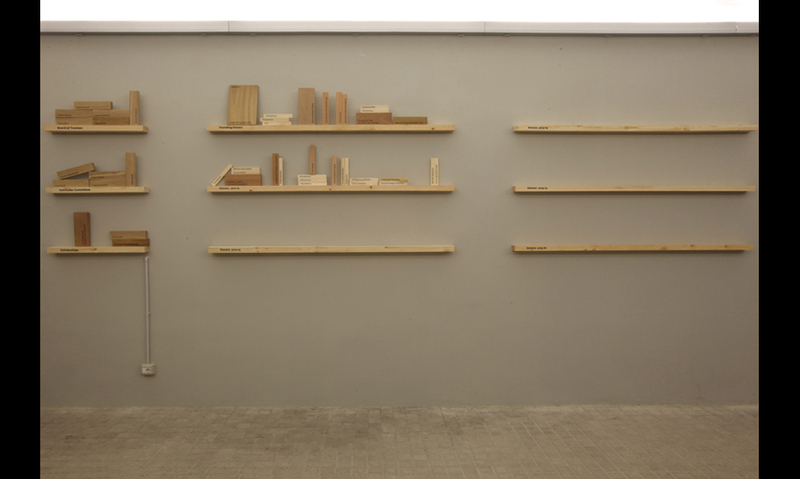 The Ashkal Alwan Home Workspace is a unique, scholarship-driven contemporary arts school and artist residency space that opened in Beirut in 2011. It provides a tuition-free program for 15 young artists and cultural practitioners to work for 11 months alongside a resident scholar. The initiative, including the design of the building, is entirely funded by donations from organizations and individuals. Giving proper thanks to those donors, and encouraging others to contribute, is important to keeping the school alive. The donor element also needed to fit visually with the school’s new home, a former furniture factory in a heavily industrial Beirut suburb. Given its location and its focus on contemporary art, research, production, and education, PenguinCube SAL (Beirut) looked for a solution that would sync with the stark, unfinished look of the space. 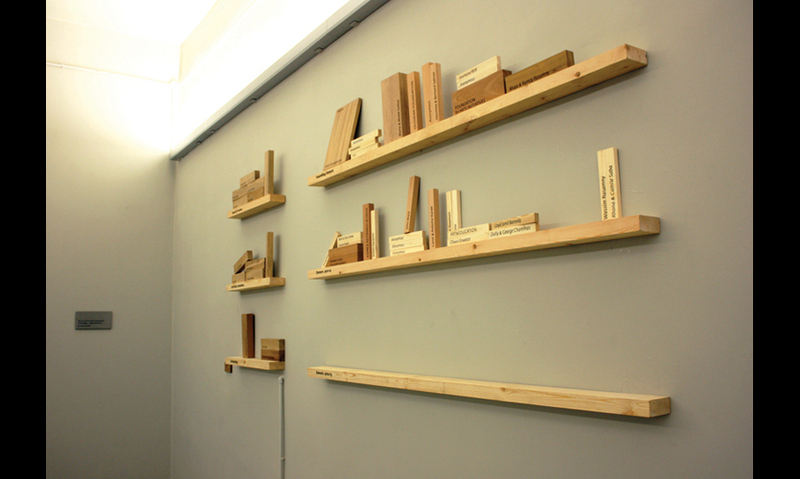 The concept of a bookshelf emerged from the idea that each of the donations is an important contribution to education and research. What better way to represent this than through one of the oldest and most grounded methods of providing education—the book? 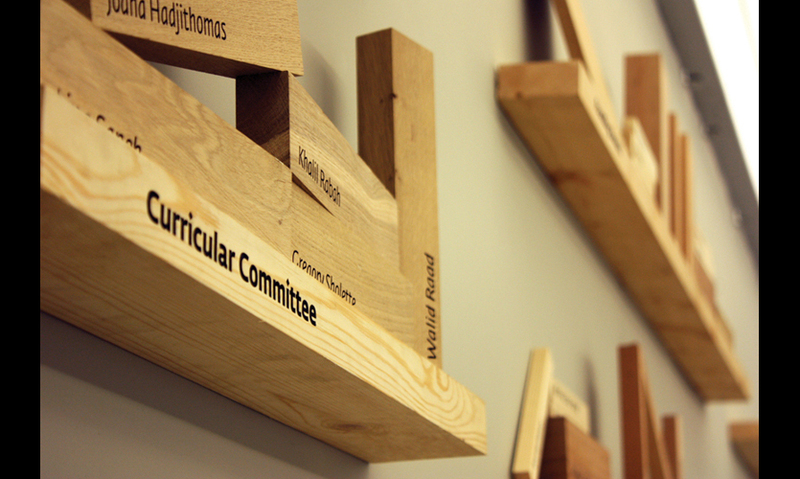 To subtly indicate levels of giving, the team designed “books” of varying sizes and woods that are shelved in a simple system: one shelf per year, each shelf displaying the donations given that academic year. 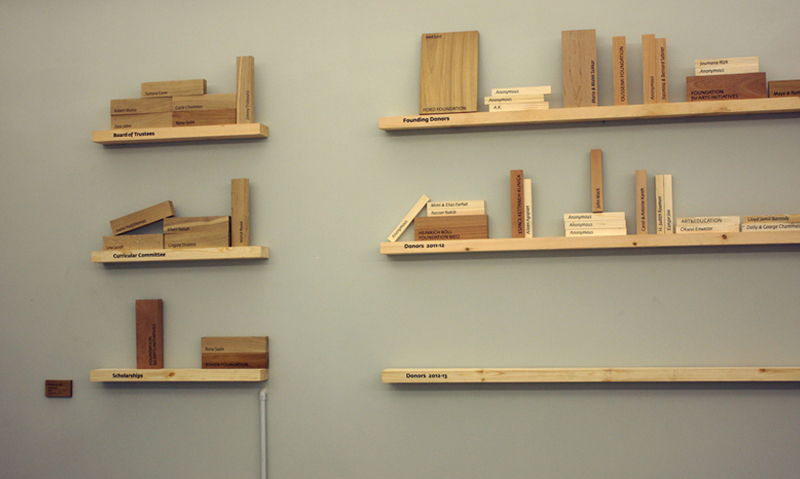 In addition to the size of the books, six different types of wood—from walnut and cherry to acajou and pine—were used to represent, in a subtle yet effective way, the different categories of donations. Donor names were engraved on each book. Again, inspired by the rawness and simplicity of the space, the PenguinCube team opted for a mill finish on the blocks and a basic engraving technique. 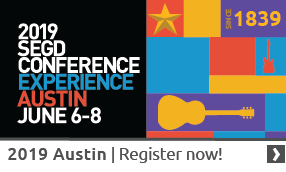 They selected Fedra Sans for the text because it is part of the Ashkal Alwan identity.